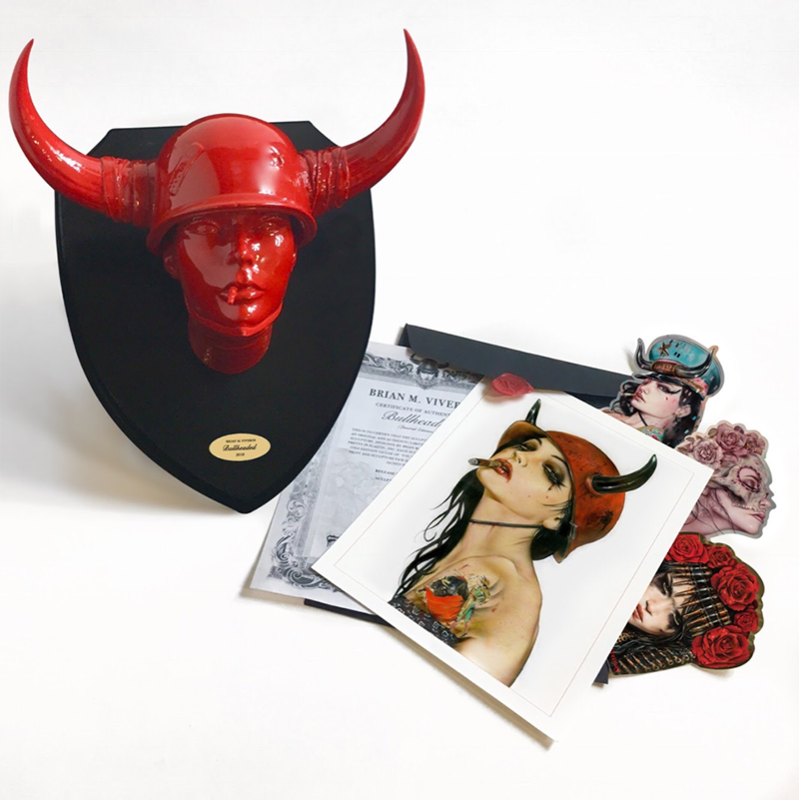 Joining forces once again with the amazing Pretty In Plastic team we’ve created a package that is very special, very blood red and very limited. 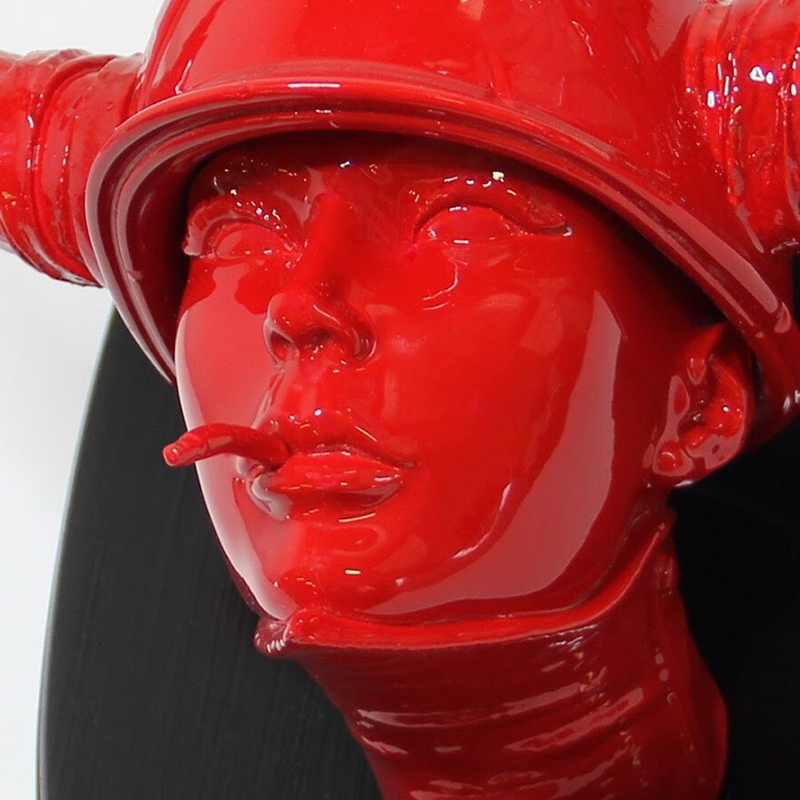 Painted in a deep blood RED she is symbolic of strong powerful women, sultry seduction, and the warrior spirit. 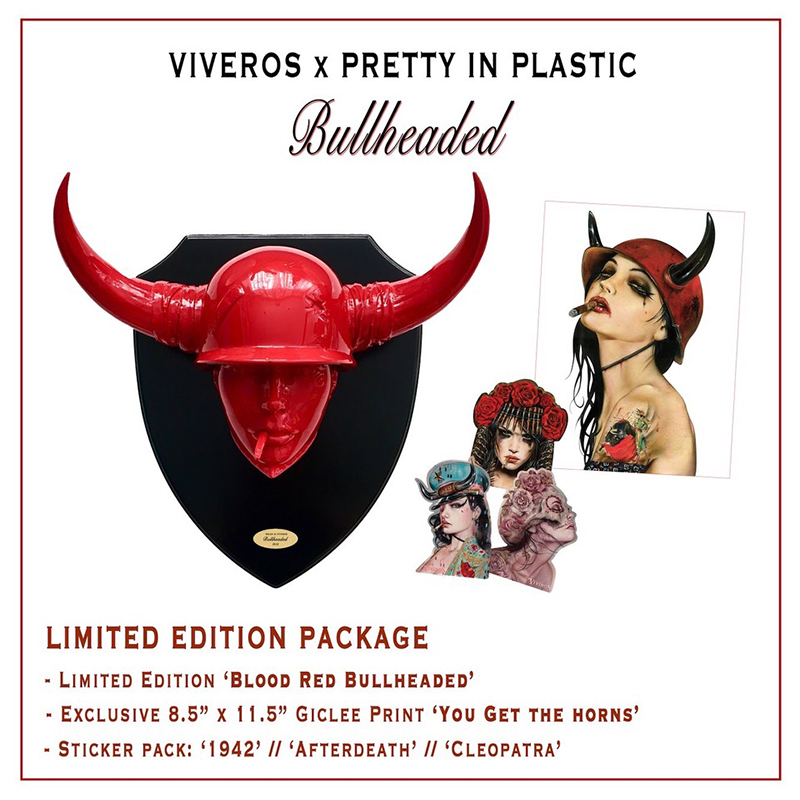 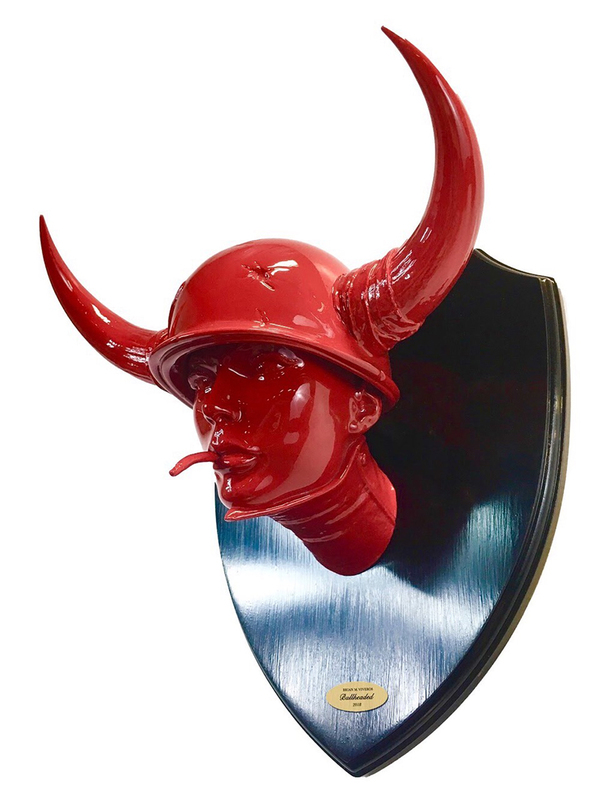 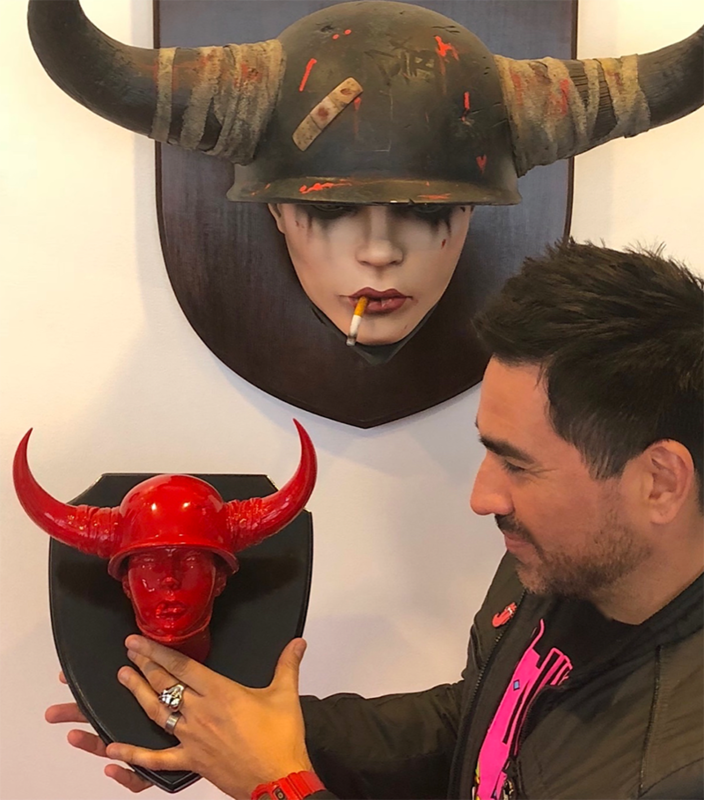 First released in 2014, ‘Bullheaded’ was the first sculpture Pretty In Plastic created with the Viveros brand – four years later, she is now available as a smaller affordable special limited edition package. 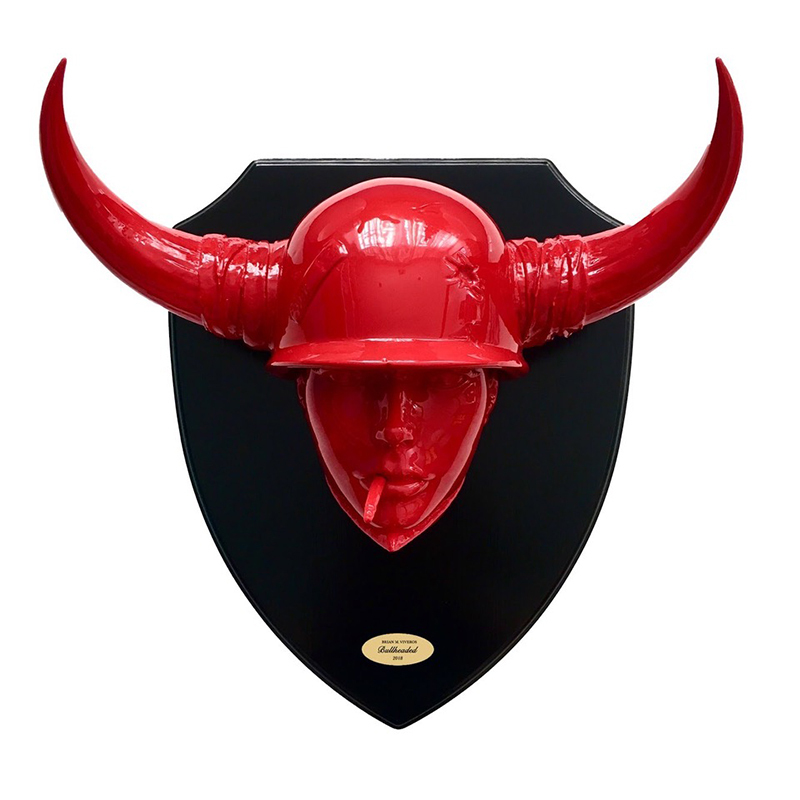 This badass Blood Red DirtyTrooper measures 12″ H x 11″ W x 8” D and comes with never before offered items. 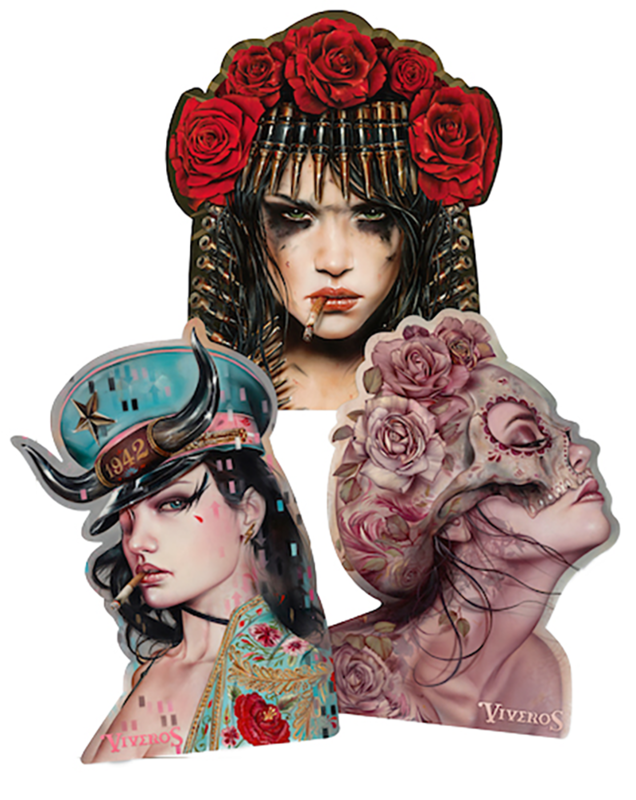 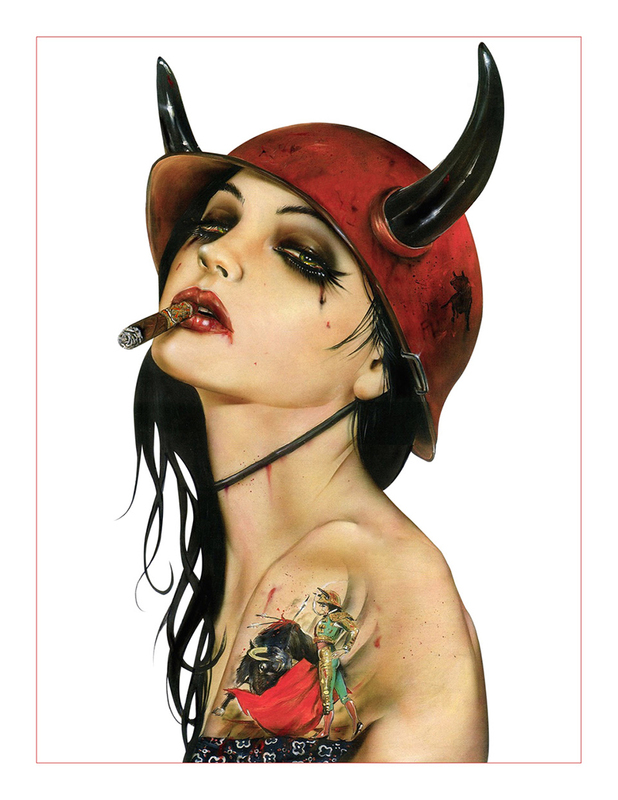 With each purchase comes a COA Certificate of Authenticity, a signed and numbered 8.5″ x 11″ limited edition Giclee Print of Viveros classic ‘You Get The Horns’ and his new set of three custom die cut vinyl stickers ‘1942’ // ‘AfterDeath’ // ‘Cleopatra’.